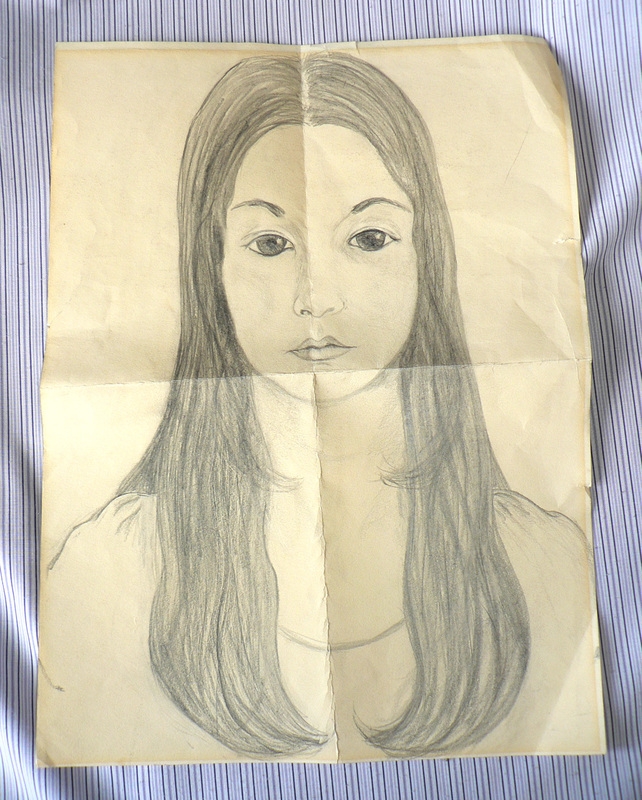 Pencil sketch, about 14 inches by 16 inches. 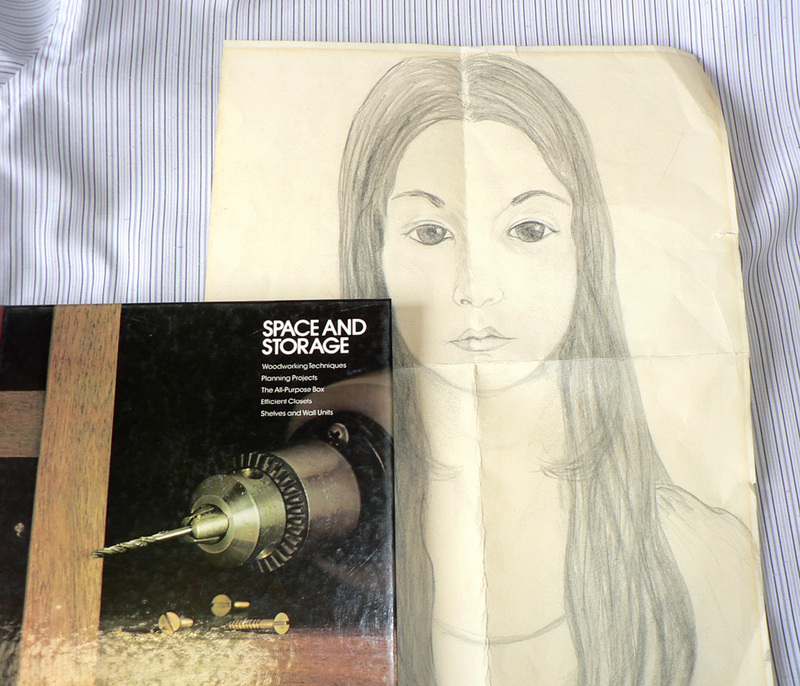 Found in "Space and Storage"" published by Time Life Books, 1976. Wow what a great picture! It would be lovely to know some of the details behind some of the things found in old books. Although imagining the history can be lots of fun too. Yes, I really like this one. That portrait is absolutely haunting! It WOULD be nice to know more about the artist and subject! The mystery's part of the fun, too, though.